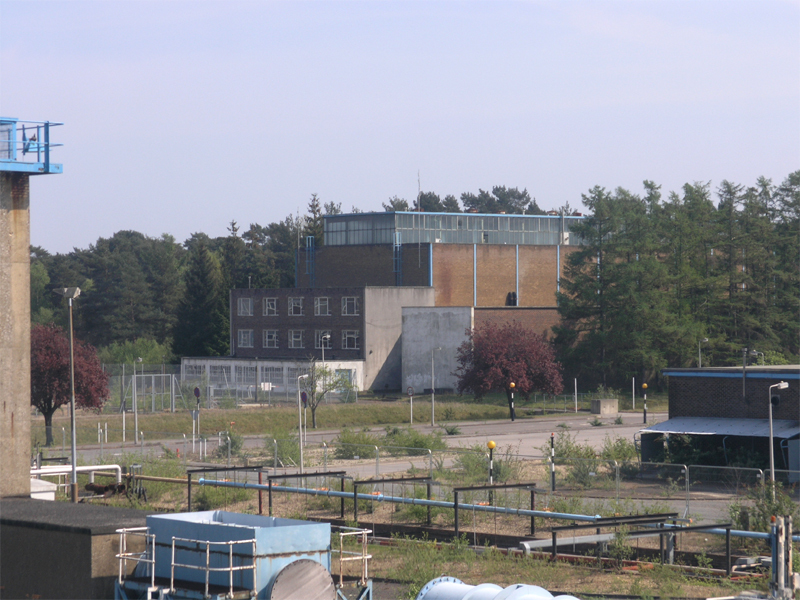 Whilst most of the trees obscure the Power Station’s bulk, the size of the building can be clearly seen from the Plant House. To the right of the main turbine hall is a brick built annex. Inside is the battery store, switchgear, power connections to the rest of Pyestock and the impressive control room. The Power Station from the Plant House.